David regularly emails me recipes that he thinks would be fun to try, and it seems like a ton of them are vegan recipes, which I find to be humorous as we AREN'T vegan....nor even remotely vegetarian. In fact, we're having burgers for dinner tonight. 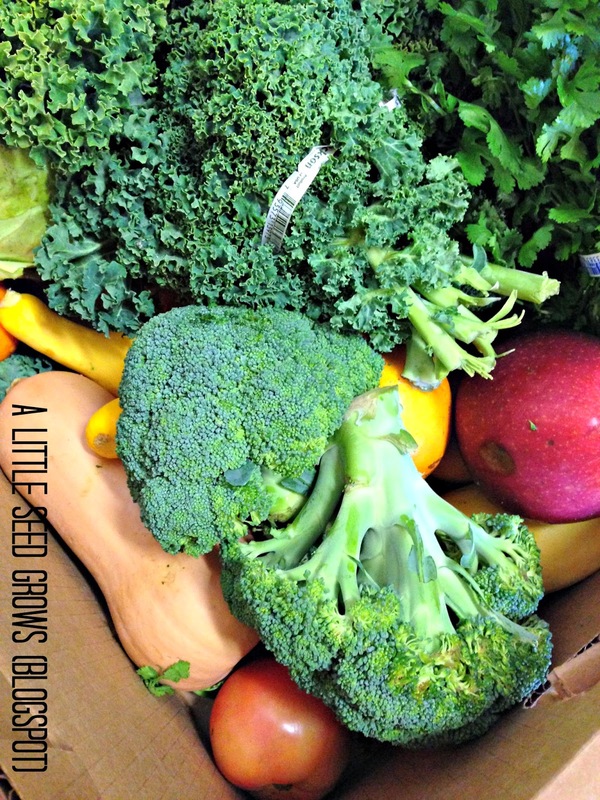 Anyway...there is a local veggie service called Brown Box Veggies, and we work one of their locations, which yields us a free box of fruits and veggies on the first and third Saturday of each month. A benefit to this is that we get new types of produce that I wouldn't typically buy, which means that I am in search of new recipes. 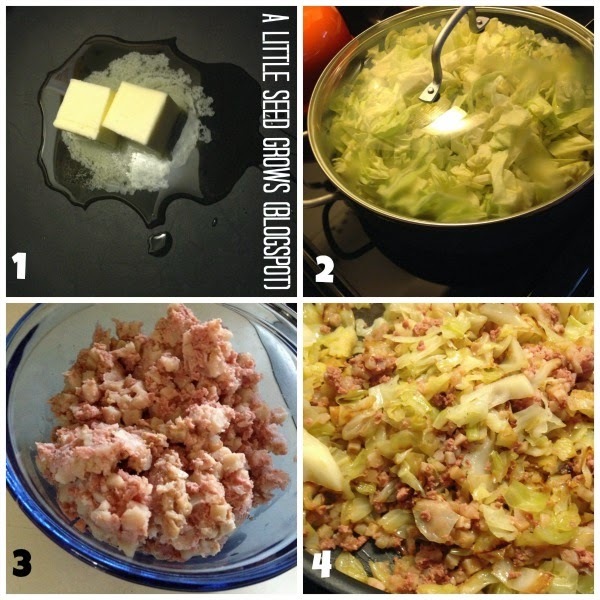 One of our favorite discoveries last fall was this gem, a twist on Paula Deen's recipe for Corned Beef Hash and Cabbage. I thought since we celebrated St. Patrick's Day this week that this was as good a time as any to share my take on the dish. While having tons of fresh produce around usually means that we eat pretty healthy, I don't even pretend to act like I try to make this recipe healthier; sometimes you gotta leave comfort food as it is. 1. Paula's recipe calls for bacon and you melt your butter right into the bacon grease, but we typically cook turkey bacon, which doesn't really work (in my opinion) so I leave the bacon out. We have a grease dripping jar in the kitchen, so I melt the butter and add a spoonful of drippings. 2. Stir the cabbage into the melted butter and add the water. Cover and let cook about 20 minutes until the cabbage softens. 3. Meanwhile, spoon the hash into a bowl, and break it up into chunk. Add to the soften cabbage, cover and cook through until the hash is heated, about another 10 minutes. This is usually where a I add a few grinds of sea salt and pepper. 4. I uncover at this point and continue to stir and cook for another 5-10 minutes since Shawman and I like our hash a little crispy. If you follow Paula's recipe, you want to add your chopped bacon now too.